Treat your inner child with this giant version of a nostalgic treat: the swiss chocolate cake roll. It’s the perfect way to celebrate National Chocolate Day! It’s decadent with a touch of nostalgia: dark chocolate cake rolled up with a fluffy marshmallow filling and coated with a dark chocolate glaze. Call it a grown up version of the snack-size treat, both bigger in size, but also less sweet and richer than the pre-packaged version. 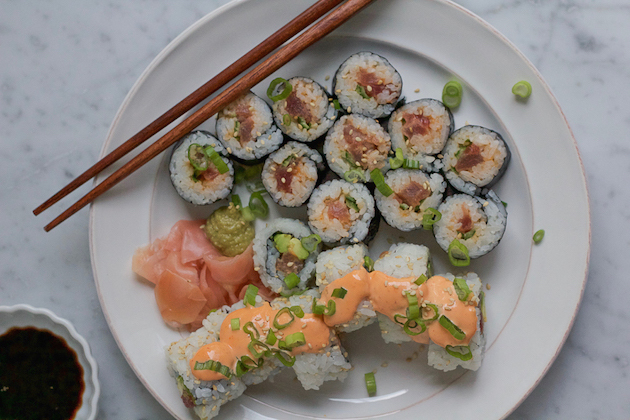 It might look complicated, but with a few simple tricks it’s really quite straightforward, ready in under 2 hours from start to finish, and not to mention oh-so-impressive. The cake starts with a light batter made from beating whole eggs with my KitchenAid® Stand Mixer until they are thick and pale yellow. Many cake roll recipes call for a sponge cake, which separates out the egg whites and beats them to peaks. This recipe aerates the eggs whole, which adds lightness and lift to the final cake, but without the need to separate the eggs. The chocolate flavor comes in two forms, melted chocolate and cocoa powder, for an ultra rich and dark chocolate flavor. Folding (instead of stirring) the dry ingredients will preserve the air present in the batter and keep the final cake light and tender. To fold, use a large rubber spatula and run it around the edge of the bowl, then lift up through the center and around to the edge. Make a figure eight shape within the batter, turning it upside down and over itself instead of just stirring around and around. Just be sure you get all the bits of dry ingredients that are lurking around the bottom of the bowl. 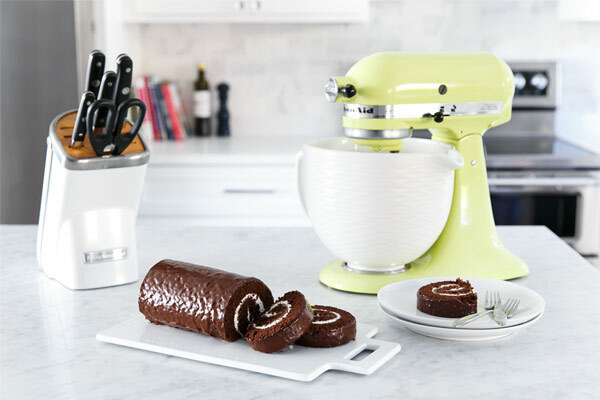 The thin batter is then spread and baked in a Jelly Roll Pan from the KitchenAid® 5pc Bakeware Set, making a single thin layer of tender cake (if you’re wondering why it’s called a jelly roll pan to begin with, it was designed for cakes like this, whether they actually include jelly or not). A half sheet pan is significantly larger, and would produce a cake layer that is too thin to support itself well with the filling (if you need to substitute, you’ll want to make 1 1/2 times the batter recipe to account for the added volume). Turn the cake out onto a clean piece of parchment paper as soon as it comes out of the oven, then roll it up (carefully, as it is still quite warm at this point). This step gives the cake a ‘muscle memory’ of sorts that will prevent it from cracking when you roll it up for good with the filling. 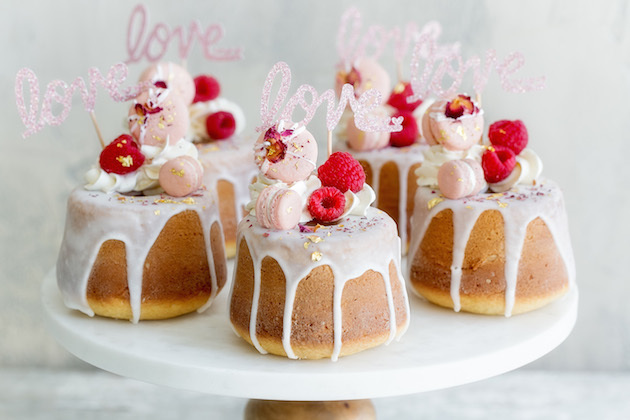 The filling is a fluffy marshmallow frosting, light and airy and downright delightful. It’s a bit on the sweet side on its own, but when paired with the dark chocolate cake and bittersweet glaze, it balances out the sweetness perfectly. 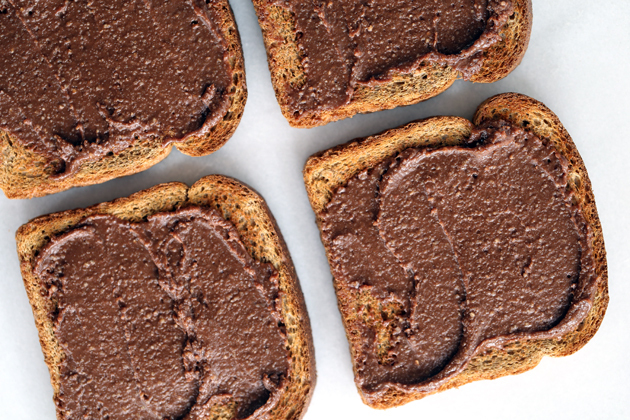 That’s one of my favorite parts about this homemade version… it’s much less sweet, less cloying, and the chocolate flavor is much more refined and mature. The glaze is poured on the cake while it’s still warm, evenly coating the entire roll with a gorgeous glossy layer of chocolate ganache. 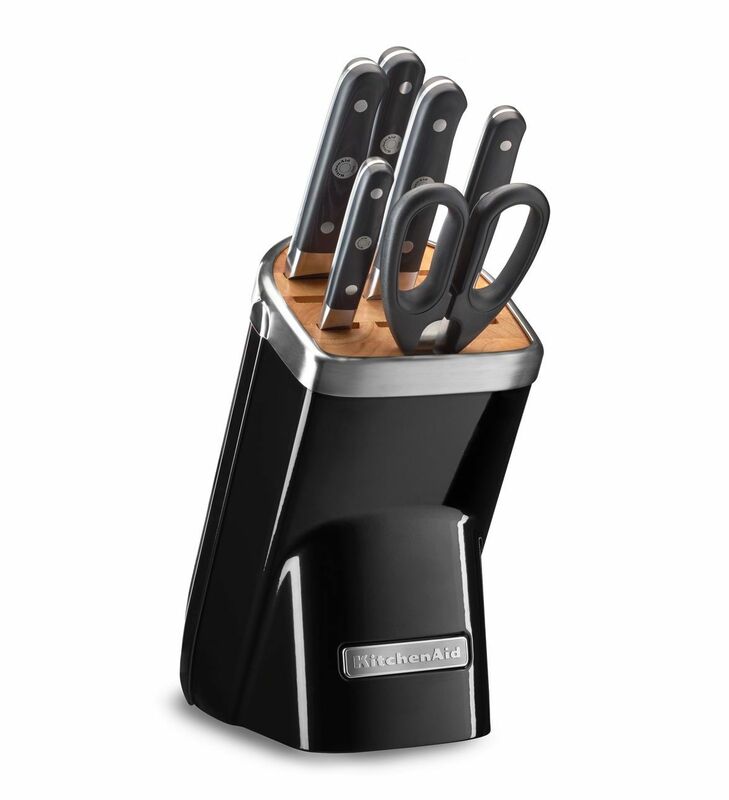 When slicing, it’s best to use the Chef’s Knife from the KitchenAid® 7pc Professional Series Cutlery Set. You want to cut the roll cleanly with a single downward slice; don’t use a sawing motion or you’ll mutilate the delicate cake. It helps to chill the cake for 30 minutes or so before glazing; this will allow the filling to firm up a bit so it doesn’t ooze out when you slice it. The Chef’s Knife is also ideal for chopping chocolate, where a big, heavy duty knife makes easy work of an otherwise tedious task. For any recipe where you are relying on hot cream to fully melt chocolate, I find that the finer I chop my chocolate, the better. I use the edge of the Chef’s Knife to almost “shave” off the chocolate rather than chopping it; those fine shavings will melt quickly and smoothly once covered by the hot cream, creating a smooth and glossy ganache. The KitchenAid® Design Series Embossed Ceramic Bowl is simply stunning and a functional showpiece that you’d be proud to display on your countertop. It’s also easy to clean since it can be washed in the dishwasher. I can’t think of a better way to satisfy your grown-up sweet tooth… and make your inner child giddy with delight at the same time. What childhood treat would you want to recreate from scratch? Share your take on this Swiss Chocolate Cake Roll dish on Instagram using #MadeWithKitchenAid for a chance to be featured. 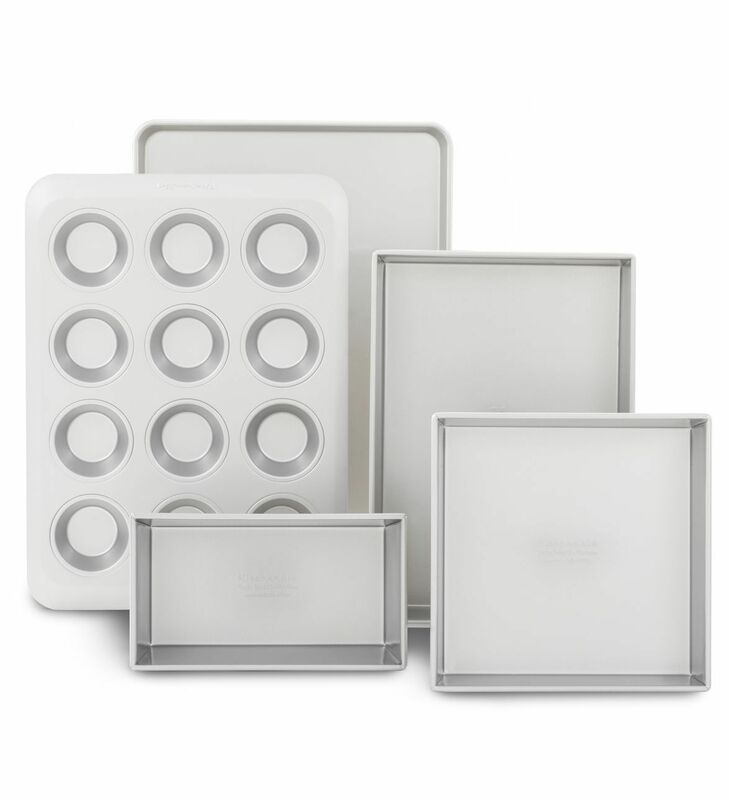 Preheat oven to 350º F. Lightly butter a 10×15″ Jelly Roll Pan from the KitchenAid® 5pc Bakeware Set. Line the bottom with parchment paper and lightly butter parchment. Sift together flour, cocoa powder, baking powder, baking soda, and salt and set aside. Use your KitchenAid® Stand Mixer fitted with the flat beater to beat eggs and sugar for 3 to 5 minutes until they’re thick and pale. Mix in vanilla and espresso powder. Gently melt butter and chopped chocolate in the microwave for 60 to 90 seconds on medium power, stirring every 30 seconds. Stop heating when the chocolate is almost melted; the residual heat should be enough to melt it the rest of the way. With the Stand Mixer running on low speed, drizzle in the melted chocolate mixture until evenly incorporated, scraping down the sides of the bowl as necessary. Sprinkle dry ingredients over top, and fold into batter using a large rubber spatula. Spread into prepared pan, using an offset spatula to spread the batter evenly into the corners. Bake for 10 to 12 minutes or until the cake springs back when touched with a fingertip. Remove from oven and let cool for 2 minutes, then turn out the cake upside down onto a piece of parchment paper sprinkled lightly with powdered sugar. You can also use a clean dish towel. Peel away parchment paper from the bottom of the cake, then gently roll up the cake starting with the short side. Doing this while the cake is still warm will give the cake some ‘muscle memory’ and allow it to be rolled with the filling without cracking. Set the rolled-up cake seam-side down, and let cool completely for at least 30 minutes. While the cake is cooling, prepare the filling. 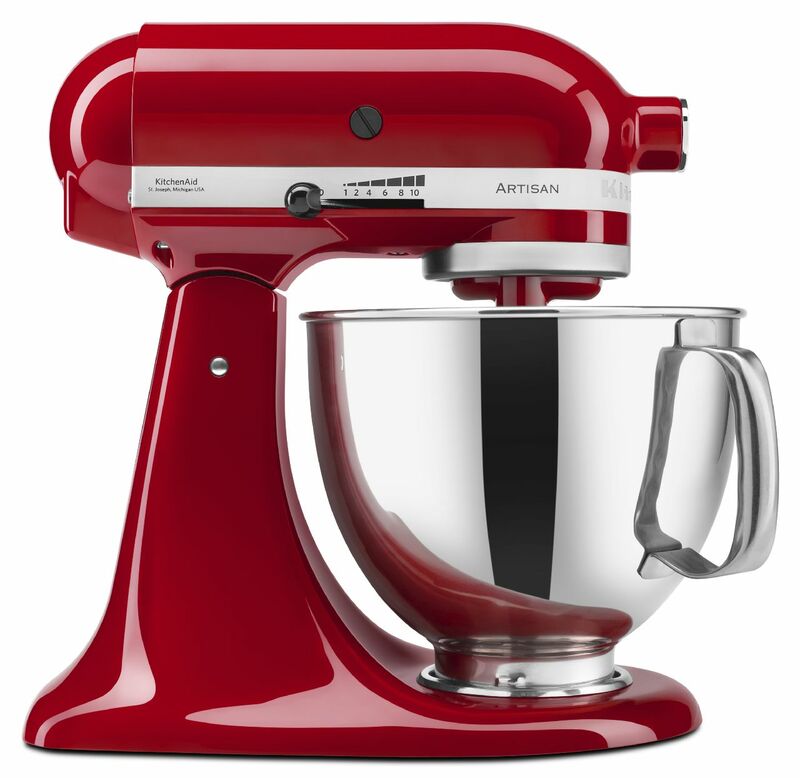 In the KitchenAid® Design Series Embossed Ceramic Bowl of your Stand Mixer fitted with the flat beater, beat the butter and shortening together until fluffy. Add marshmallow fluff and beat until evenly incorporated, then add sifted powdered sugar, beating on medium speed until fluffy, scraping down the sides of the bowl as needed. Add heavy cream and mix until incorporated, then increase the speed to medium-high and beat for 2 to 3 minutes or until light and fluffy. If the filling is still rather loose, you can add 1/4 to 1/2 cup more powdered sugar as needed to achieve desired consistency. Gently unroll the cooled cake, peeling back parchment paper as you go. Spread a 3/8-inch thick layer of filling over the top of the cake. Don’t make this layer too thick or you’ll find yourself with a big old mess when you try to roll it up (you may not need all of the filling). Starting with the same short side as before, carefully roll up the cake, trying not to let the filling squish out too much. Set the seam side down, then refrigerate for at least 30 minutes to allow the filling to set up a bit (this will make it much easier to slice later). Meanwhile, to make the glaze, place chopped chocolate in a heat-proof bowl. Warm cream in a small saucepan over medium-low heat until it just begins to bubble around the edges (do not let it boil). Pour evenly over chopped chocolate; let sit for 30 seconds, then gently whisk, in concentric circles starting in the very center, until chocolate is melted and mixture is smooth. Whisk in butter, one cube at a time, until melted and completely smooth. Transfer the cake roll to a wire rack set inside a sheet pan (this will catch any excess glaze). Pour glaze over top, spreading as needed to get any remaining exposed areas, until the top and sides of the cake are completely covered in glaze. Slice the cake with a Chef’s Knife from the KitchenAid® 7pc Professional Series Cutlery Set, using a single clean slicing motion (do not saw the knife back and forth). Wipe knife clean between slices. The cake is best enjoyed the day it is made, but will also keep in the refrigerator, lightly covered with plastic wrap, for up to 3 days. Let sit in room temperature for 30 minutes before serving.